First contact resolution (FCR) is exactly what it sounds like. 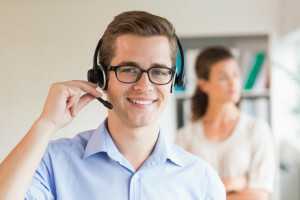 In the call center and customer service industry, first contact resolution means resolving a customer’s issues and answering all of their questions within the scope of their first phone call to your company. It essentially eliminates the need for follow up phone calls, e-mails, or live chat requests. Ideally, all customer problems and questions would be resolved within the duration of the first point of contact. However, some inbound customer service issues are more complex than others. Keep reading for some useful FCR tips to help you improve your statistics. What Is a Good First Contact Resolution Rate? Based on extensive research conducted by MetricNet, an ideal first call resolution rate should be around 74%. Of course, this number varies from business to business based on the types of products and services offered. To put this into greater perspective, note that any percentage below 40% is the equivalent of a failing grade and numbers above 90% are considered exceptional. Effective problem-solving skills are the cornerstones of providing the best customer service. However, it’s important that your customer service agents don’t sacrifice one attribute for the other. Sometimes, customer service agents may rush customers off the phone in the name of maintaining lower call times. Conversely, some agents may spend far too much time on the phone with issue resolution. Both scenarios don’t bode well for your call center analytics, call times, and call volumes. The longer one agent spends on the phone with the same customer, the more the call volume increases. On the other hand, failing to efficiently solve a customer’s issue during the first phone call can result in numerous follow up calls, which can also eat away at your budget. The following first contact resolution tips can help alleviate these issues and improve your analytics. Take the time to closely observe your current operations. Which areas of your customer service practices need significant improvements or updates? Focus on pinpointing these issues and then taking the appropriate steps to correct them. In some cases, updating your employee training may be necessary. When working in the customer service industry, the most important aspect of the job is to understand your customers and their needs. Even more important is being able to anticipate their needs and exceed their expectations. But this usually comes with years of experience on the job. Start off by asking them questions that require detailed answers and encourage your agents to do the same thing. Oftentimes, the key to resolving customer issues is simply listening to them. Empowering your employees simply means granting them the authority to handle certain situations in whatever way they think is the most appropriate while still complying with company policies. Encourage your employees to offer personalized yet feasible solutions to customers based on their specific needs rather than offering a blanket solution that doesn’t always work. Employee empowerment has been proven to increase productivity, motivation, and morale in the workplace, all of which inevitably produce better results for your company. This approach might seem a little too obvious. After all, customers are the foundation for the success of your business, so their satisfaction should naturally be your top priority. Some businesses, however, tend to place greater importance on customer acquisition rather than retention. And this is a major problem financially and for your reputation. Customer acquisition is important for sustaining your business long-term; however, retention requires building a strong relationship with customers and encouraging brand loyalty. It costs more to acquire new customers constantly than it does to nurture existing ones. Giving your employees the right tools and resources to learn about your company policies and their roles there can help set them up for success from the get-go. Make sure all training manuals are reviewed and updated regularly, allow new employees to shadow seasoned ones, and always be available to offer support and answer all questions. Be sure to ask your employees which training methods they think are the most effective and offer training programs on a regular basis to update their knowledge. All your agents should receive the same in-depth training on a regular basis. With that said, some agents just seem to have a natural knack for handling certain types of clients or situations better than others. Recognizing all of the different attributes that each individual agent has to offer can help you match them up with the right clients. 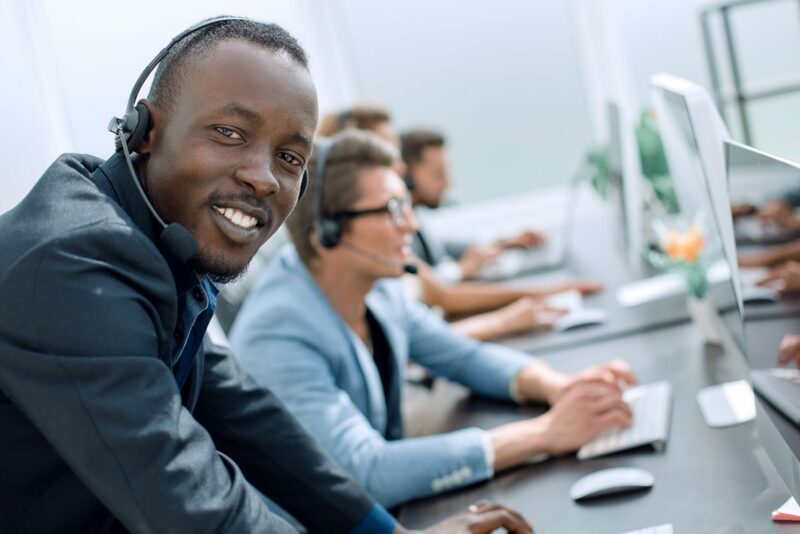 While this isn’t always an option in most call centers, you could always allow your agents to transfer certain calls to other agents who may be more equipped to take care of certain types of customer problems. Cross-training employees across a wide range of areas will help them expand their product and company knowledge, which benefits your business and your customers in the long run. The more knowledge and experience your employees have, the more easily and effectively they can help their customers without having to place them on hold or transfer them to other departments. This method can shorten call times, increase efficiency, and boost FCR rates while also ensuring customer satisfaction all at once. Conducting performance evaluations every six months will also give your employees a good idea of where they stand, what they need to improve on, and steps they can take to boost their customer service skills. It’s also a great way to save your company some money by reducing employee turnover rates, giving agents the opportunity to hone their skills, and even give them a chance to advance their careers within the company. One of the most common technical resolutions that contact centers receive is to reset a client’s password because it has expired, or the client has forgotten it. Deploying and training your customers in using self-service options would provide immediate help, particularly on days (ie. weekends) when the availability of support personnel is low. Automation significantly boosts the customer experience and limits repeat calls if your customers can easily fix an issue or answer a common question without having to contact the customer service desk. 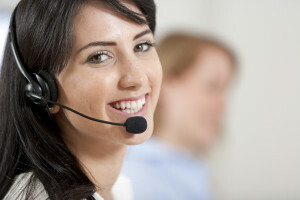 3C Contact Services is one of the leading call center services in North America. We have a proven track record of helping our partners improve their first call resolution rates and maintaining strong industry standards in the process. We can leverage technology to standardize, automate, and thin out the customer service process. Contact us today to learn how we can help you improve your customer relations.